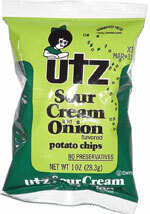 Taste test: These are pretty good sour cream and onion chips. There's more onion than sour cream, and it's sort of a toasted onion taste. 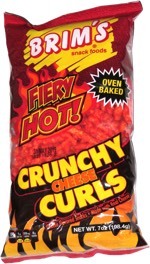 Trivia: I was impressed by the number of chips in the bag. It's just a 1-oz. bag, but they managed to squeeze quite a few chips in there.